Warralong was the second stop for Marnti warajanga’s tour of the Pilbara. 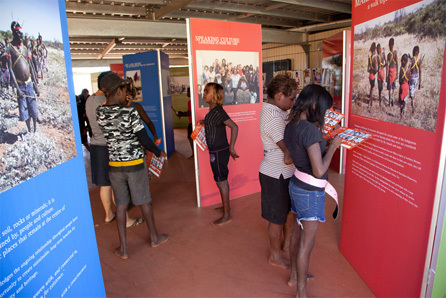 After a week in South Hedland, the exhibition team drove two hours north-east, arriving in Warralong on 14 May. The exhibition was set up in the breezeway between two classrooms at Strelley Community School. Over four days the team met and worked with the students and teachers at the school, displaying the exhibition and running photography workshops. 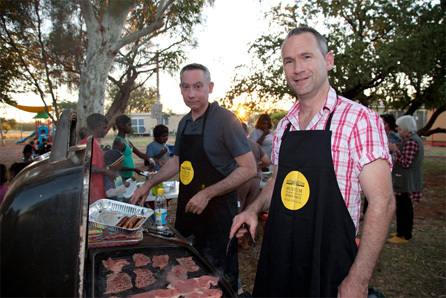 A community celebration, which included a BBQ and live music by local musicians the Karntimarta Band, was held at the school to welcome the exhibition on the evening of 16 May.